Bitte melden Sie sich per E-Mail an! Anneli Sarhimaa was appointed professor of Northern European and Baltic languages and cultures at the University of Mainz in 2002. 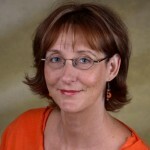 She got her Ph.D. in linguistics from the University of Helsinki in 1999, where she was appointed Docent (Germ. Privatdozentin) in Finnic languages and linguistics at the Faculty of Humanities in 2002. She has studied and worked in Finland, Russia, the Netherlands and Germany, and has broad international academic experience and wide cooperation networks within and outside of Europe. Her linguistic interests lie in the fields of sociolinguistics, contact linguistics, (with focus on minority languages spoken in Finland and in northwestern Russia), language policies and (critical) discourse analysis (esp. minority identities, their discursive construction and linguistic manifestation). In 2010–2013 Anneli Sarhimaa was the Coordinator-in-Chief of the international, interdisciplinary project ELDIA (European Language Diversity for All, which was financed with 2.7 Million Euro from the 7th Framework Program of the European Union. ELDIA was the so far largest international research project concerned with Finno-Ugric minority languages; during the project life time, more than 100 researchers were involved in the 12 case studies conducted in eight European countries. The project produced the European Language Maintenance Barometer (EuLaViBar), a novel tool for measuring the level of language maintenance and supporting the maintenance of language diversity. The ultimate results of the project have been published in numerous monographies and articles, including the monography Towards Openly Multlingual Policies and Practices: Assessing Minority Language Maintenance Across Europe, jointly written by Johanna Laakso, Anneli Sarhimaa, Sia Spiliopoulou Åkermark and Reetta Toivanen and published by Multilingual Matters in 2016. After ELDIA, Sarhimaa has continued her work for European minorities in two other frameworks. Starting with 2015, the team of Northern European and Baltic languages is a member in the DLDP consortium conducting the Digital Language Diversity Project. The project will run till 2018. It is coordinated by Dr. Claudia Soria (Consiglio Nazionale delle Ricerche, CNR, Italy), and aims at advancing the sustainability of Europe’s regional and minority languages in the digital world by empowering their speakers with the knowledge and abilities to create and share content on digital devices using their minority languages. Since 2013, Sarhimaa has acted as one of the Vice-Presidents of the European Language Equality Network, a Pan-European NGO representing regional and minority language communities. Since the late 1980s Sarhimaa has investigated Karelian – a Finnic minority language related to Finnish and Estonian and spoken as an autochthonous language in northwestern Russia and in Finland. Her early studies were concerned with language contacts between Karelian and the north-western dialects of Russian. She collected the empirical data – an 80-hour corpus of interviews with native speakers of Karelian and of the northern Russian dialects – between 1989 and 1996 during several field-work expeditions in the Autonomous Republic of Karelia and in Central Russia. Drawing from these data, she investigated syntactic interference between Karelian and (North) Russian. Sarhimaa's dissertation monography Syntactic transfer, contact-induced change, and the evolution of bilingual mixed codes (Finnish Literature Society, 1999) showed that the decades-long bi- and multilingualism of Karelians in the Karelian Republic (in the Northwest of the Russian Federation) had given birth to several new, mixed codes. These codes differed from each other in regard to their patterns of combining Russian and Karelian grammatical elements and were used much in the same way as monolinguals change between different registers of their native tongue. The dissertation was awarded the research prices of the Société Finno-Ougrienne and the Society of Finnish Language. During her years in Mainz, Sarhimaa has investigated the relationship between language and the social in a more general framework, with a special reference to identity work via language in inter- and multicultural settings. The meta-theoretical framework of these studies is that of Bakhtinian dialogism enriched by Critical Discourse Analysis. Her publications have discussed issues such as the construction of contexts by means of grammatical devices, polyphony, heteroglossy, voicing, narrative role-assignment, membership categorisation devices, choices concerned with modifying the grammatical category of person and indexical elements that are used to construct viewpoints. In the course of ELDIA project (2010-2013) and in the years thereafter, Anneli Sarhimaa has concentrated on investigating the language-political status and the vitality of the Karelian language in Finland where Karelian is an autochthonous minority language but has till today largely been ignored in language policies and in the Finnish society in general. The studies have confirmed that although Karelian is today critically endangered in Finland there is currently some realistic hope for its empowerment as well. The results of these studies have been published in several online-reports, including a book-length report in English presenting all results of the ELDIA case study, and the book Vaietut ja vaiennetut: karjalankieliset karjalaiset Suomessa (‘Silent and being forced to be silent: Karelian-speaking Karelians in Finland’) which targets a wide audience ranging from language-specialists and students to politicians and lay readers. The book Vaietut ja vaiennetut has been welcomed as a research-based contribution to the societal discussion of the legal status of Karelian in Finland and the means of supporting its revitalization. The book was awarded the annual price The Karelian Book of the Year by Karjalan Liitto, the largest Karelian NGO in Finland, in 2017.